Keeping up with recall notices on dog biscuits can help you keep your pet safe. Learn where to get this information so you won't be the person who finds out the hard way there's something wrong with your dog's cookies and treats. You can keep your eye on a current list of dog biscuits that have been recalled on the United States Food and Drug Administration website. This agency maintains an up-to-date list of all dog food products that have been recalled, from cookies to the food you put in your dog's bowl every day. Make it a routine to check once a week so you're always up to date. Dog biscuit recalls are rare. However, recalls in recent years serve to remind everyone just how diligently they need to check out the foods and biscuits they feed their pets. Hartz Mountain Corp: Hartz was one company that issued a recall in 2010. This is because the FDA found, on a random inspection, traces of salmonella in the company's dog biscuits. The product in question was Hartz Naturals Real Beef Treats for Dogs. While there was never any proven link between the salmonella samples and sickness in any dogs, the recall resulted in 75,000 bags of dog treats being recalled to the company's corporate headquarters in Secaucus, New Jersey. Affected treats had the lot code BZ0969101E. The company recommended that anyone who purchased these biscuits should throw them in the trash immediately. 2007 Pet Food Recalls: The year 2007 was not good to pet food manufacturers. 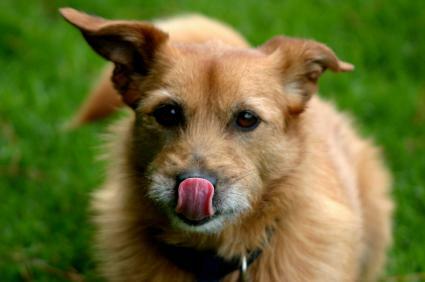 There was a massive, nationwide recall of a number of pet foods, including dog biscuits. This happened due to contaminated vegetable proteins used by American companies that had been imported from the People's Republic of China. The recall affected over 130 different kinds of dog foods. While there were no confirmed contaminations or reported illnesses from dog biscuits, some companies affected by the recall decided torecall biscuits to be on the safe side. The culprit behind the recall was a toxic chemical that could produce renal failure. Peanut Butter Recall: In 2009, there was a nationwide recall of peanut butter and other foodstuffs with peanut butter in them. Peanut butter is often used as an ingredient in dog biscuits and thus, there were several brands of doggie treats that were recalled as a result of the problems with peanut butter. PetSmart Inc. was forced to recall no fewer than seven different varieties of dog biscuits under its Grreat Choice brand. This was a result of a salmonella infection that triggered the largest food recall in United States history. The Peanut Corporation of America was behind the salmonella outbreak and was barred from receiving federal contracts. The company later declared bankruptcy. You shouldn't stay awake at night worrying that your favorite dog has eaten contaminated dog biscuits. The number of dog biscuit recalls in United States history is comparatively slim. Additionally, the Food and Drug Administration keeps a running list of all pet foods that are currently under recall. Keep an eye out for any behavior in your dog that may be a sign of illness and check the FDA's website regularly for updates. If you're really worried, you can always make your own dog biscuits at home.